New high level platform with the old LIRR station in the backgound, now a Maritime Museum. Greenport, NY is the end of the line on the LIRR mailine. 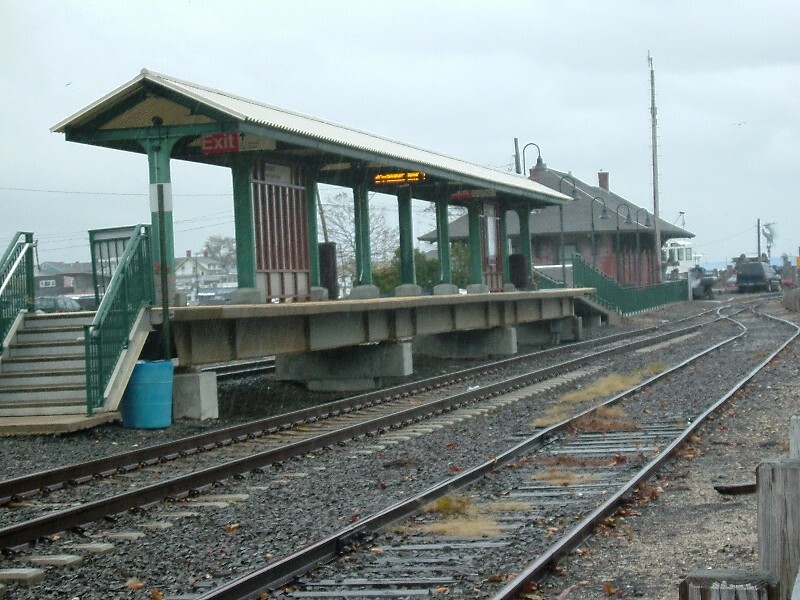 Greenport was once the main line to Boston. Passengers would detrain at Greenport, get on a steam ship to CT and reboard a New Haven RR train for the rest of the journey to Boston. Photographed by Richard Gorddard, October 22, 2005. Added to the photo archive by Richard Gorddard, October 22, 2005.